Two of the largest global mining companies, Lafarge and Holcim, agreed to merge in 2014. Consequently, they were required to divest assets to keep them from becoming dominant in the global marketplace. CRH, a company based in Ireland, planned to acquire some of these divested assets of Lafarge and Holcim. RESPEC staff in Lexington, Kentucky, worked with CRH in the due-diligence process associated with their purchase of the assets. Because of the purchase (valued at $7.4 billion [US]), CRH became the world’s third-largest building-materials supplier. RESPEC oversaw all mining-related due diligence of aggregate operations and cement plant raw materials. RESPEC professionals worked in England, Ireland, France, Romania, Switzerland, Canada, Brazil, Germany, Slovakia, Serbia, and the Philippines. The intense weeks leading up to and during the due diligence required translators in several languages and educators from nearby Transylvania University and the University of Kentucky, who worked with staff to review records in Romanian, German, and Serbian. 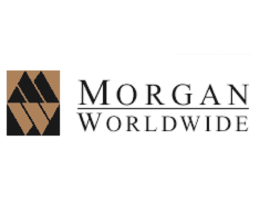 RESPEC diversifies service offerings in mining and energy services through the acquisition of Morgan Worldwide.